Who is Blacks In Bitcoin? I'm Edwardo Jackson, an author, poker player, startup founder of movie gaming site CinemaDraft, and avid user of social media who stumbled upon bitcoin in March 2013 when working with Upworthy. I think about bitcoin - a lot. Is Bitcoin the Next Black Wealth Creator? Don't miss out - the FOMO is REAL. Click image for more. Shall. We. Play. A. Game? Click image for more. Buy Bitcoin with Coinbase! Buy $10 worth, get $10 BTC free! What - and WTF - is Blacks In Bitcoin? What is Blacks In Bitcoin? This is a blog devoted to following and discussing the development of the revolutionary bitcoin protocol, which has often been called "the Internet of money." Everyone is welcome to visit and participate here. Having been an advocate of bitcoin since March 2013, I've found that there isn't a lot of education in minority communities about this exciting new technology. I want this to be a resource for everyone, particularly economically underserved communities, to learn more about bitcoin, as well as to network and discuss its future. Also, if I didn't have an outlet for my bitcoin obsession, I'd spontaneously combust. Want to add value to our bitcoin discussion? 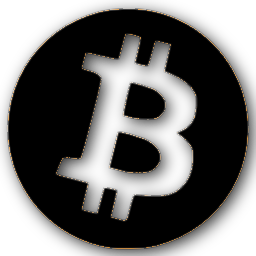 Email me your suggestions at blacksinbitcoin@gmail.com! Because I'm not smart enough to code. Simple theme. Powered by Blogger.